This month marks the start of one judicial career and the recognition of the longevity of two others. Newly appointed Superior Court Judge Bill Houser, who was selected by Gov. Jay Inlsee to replace Steve Dixon, will be sworn into office Monday, March 31, at 3 p.m. in the County Commissioner’s chambers. Houser will not have much time to get acquainted with his new job before standing for election in the fall. Then on Thursday, March 27, the Washington State Association for Justice will honor two long-serving Kitsap judges for their 20 years of service, Superior Court Judge Jay Roof and Poulsbo Municipal Court Judge Jeffrey Tolman. The event will be held at McCormick Woods Golf and Country Club in Port Orchard from 5 p.m. to 6:30 p.m. The ACLU released statewide data Wednesday showing the sudden drop in misdemeanor marijuana possession charges for adults. 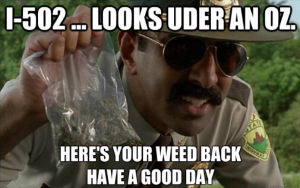 Although holding up to an ounce of pot, or 28 grams, is now legal, you can still be cited and prosecuted for a misdemeanor if you are found with between 28 grams and 40 grams. Those are the charges the ACLU set out to find. And the ACLU found very few. In 2012, the year I-502 passed, there were 5,531 misdemeanor pot charges filed statewide, according to ACLU research. In the 2013, when the law took effect, there were 120 charges filed. That steep decline is reflected in local numbers as well. In 2012, 138 adults were cited for misdemeanor pot possession in Kitsap. Below you will find the statewide numbers, and below that the Kitsap numbers. All data was provided by the ACLU of Washington, which obtained its numbers by filing a records request with the state Administrative Office of the Courts. Ellen Ebert of Gig Harbor had a meeting at Seattle Center on Tuesday morning and took a shortcut through Fisher Plaza. She thought about stopping for a cup of coffee, but then kept walking toward Broad Street. The satellite dishes attached to the building that house the KOMO television station caught her eye. “I never noticed that before,” she thought to herself. Up on the roof of the building a helicopter was preparing to take off. 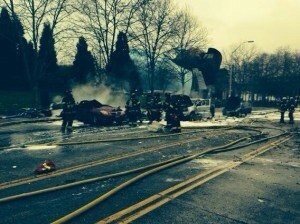 About four minutes later, at 7:40 a.m., she heard a boom and looked out the window to see smoke billowing from where a helicopter leased by KOMO had crashed and exploded, killing two. Ebert, whose daughter Katerina Kailey is digital sales manager at the Kitsap Sun, at first did not know it was a helicopter crash. She thought it must have been an accident at a construction site nearby. It wasn’t until she received a call from Kailey that she heard the news. Others arrived shaken, having witnessed the aircraft explode. Her thoughts went to those who had been hurt, and those she later learned had been killed. And also that by chance she missed being rained down on by a crashing helicopter. The meeting went forward, but everybody was subdued. “It was one of those things,” Ebert said. They say that in life, success is a matter of being in the right place at the right time. “Or four minutes ahead of it,” Ebert said. A ruse that aims to wring cash from those who fear they have unwittingly skipped jury duty has popped up in Snohomish County. A similar scam, which has made an appearance in Kitsap County — most recently earlier this month. Before that, a resident in September lost $2,000 to the scam. 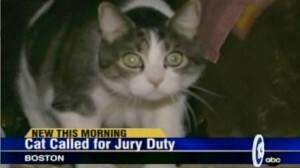 What happens is somebody claiming to be from the sheriff’s office calls to say you have missed jury duty. A warrant has been issued, and to have the warrant dismissed you must pay. For information about the Kitsap County Clerk’s Office or jury administration, call 360-337-7166, Ext. 6. Gov. Jay Inslee’s moratorium on executions didn’t stop prosecutors from seeking the death penalty and defense attorneys from appealing death sentences. But according to a records request filed by the Kitsap Sun on Feb. 18, the state Department of Corrections reported it has none of the drug used in executions and has no idea of how to get more. Even if the courts gave their blessing to an execution, and Inslee hadn’t vowed to step in and put a hold on it, it isn’t clear how the state would execute the nine men currently on death row. The state’s primary method of execution is lethal injection, though it offers hanging to condemned inmates. The European Union has enacted bans on importing drugs used in capital punishment to the U.S. Manufacturers of the drugs also refused to sell them when it was clear they were to be used in executions. Yesterday it was reported that much of Delaware’s stock of the drugs used in lethal injection has expired. 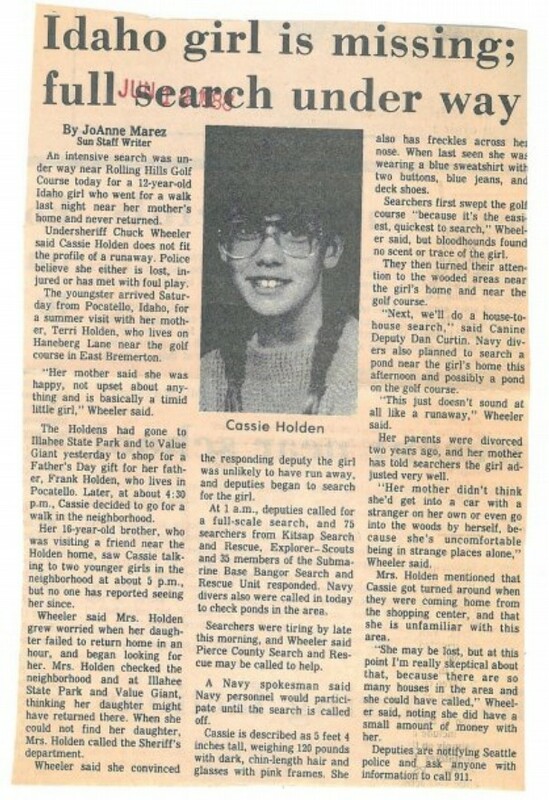 The longest serving member of death row is Jonathan Lee Gentry, who was convicted in 1991 of the 1988 murder of 12-year-old Cassie Holden in East Bremerton. Chris Boshears (right) with her daughter, Jordan, in June. Wednesday marked 80 days since Christina Boshears died, and although family, friends and investigators have already been waiting nearly three months for a determination of what killed her, they may have to wait longer. On Dec. 15 Boshears was taken from the Kitsap County Jail to Harrison Medical Center after she was observed having trouble breathing. Friends and family say she was fragile from years of drug addition, a recent overdose and then relapse, and had been withdrawing from heroin in the jail while being held for what amounts to a parole violation. For those who loved her, the thought of a woman whose worst crimes were always directed at herself dying in this way heaped heartbreak upon heartbreak. 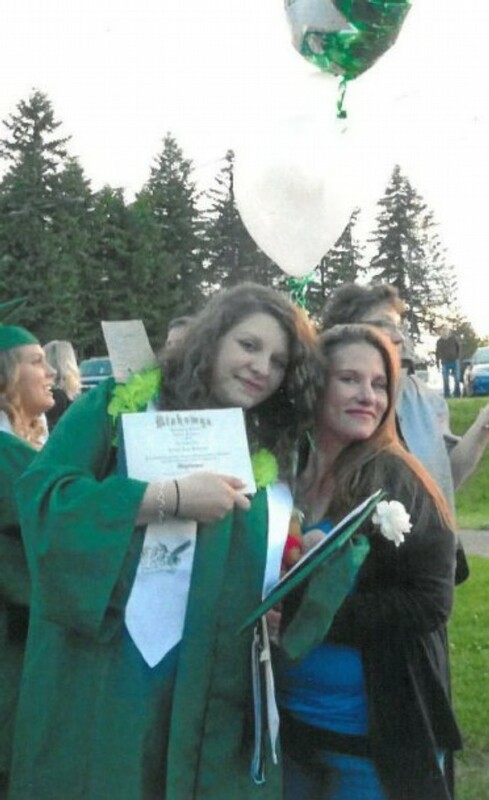 She died in Sheriff’s Office custody, and the Port Orchard Police are investigating Christina’s death, but are waiting on the Coroner Greg Sandstrom to rule on her cause of death. To do that, he needs to be certain his ruling is correct. “We’re trying to cover every base here,” he said Wednesday. Blood had been sent via the U.S. Mail to the Washington State Patrol’s Toxicology Lab in Seattle. Most people might be unnerved if blood came in the mail. That’s not the case for the lab. “The typical sample is blood, and also urine,” said Brianna Peterson, lab manager for the toxicology lab. Results on Boshears blood came back. Sandstrom had it sent back for retesting, which means it goes to the back of the line. The first test found no significant trace of drugs in her system. Accuracy is fairly important in his line of work. And accuracy takes time. “We’ve got to wait in line like everybody else,” he said. Eighty days seems like a lot, especially considering when the public is exposed to crime science, it’s usually on TV. The time it takes may take some by surprise, Peterson said. “If they only know about it from watching TV, yes, it is probably surprising to them,” she said. After all, those models-turned-detectives need only an hour, including commercials. 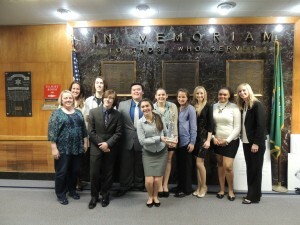 “It might be a little while yet, I hate to say it,” Sandstrom said. Part of the hold up is the volume of work the lab does. Peterson said the department handled 11,000 cases last year. An average wait time for results is about 30 days. Thirteen scientists work in the lab. And although they don’t visit crime scenes, often enough they are called to courtrooms across the state to testify. Kitsap isn’t helping the lab lighten its load. The Coroner’s Office is also waiting for toxicology results from the autopsy of Pamela L. McNeil, who body was found in a ditch on Clear Creek Road Feb. 27. Investigators said they do not suspect foul play. The rest of the state isn’t helping either. Whenever there is a death that requires a closer look to determine cause, and most of the time when an autopsy is performed, and often enough in an impaired driving case, the lab will receive a package in the mail. The package will contain blood, and sometimes urine. Russ Hauge, prosecuting attorney, was interviewed last week on KUOW regarding Gov. Jay Inslee’s death penalty moratorium. The invitation to discuss the issue followed a guest column in the Seattle Times, written by Brian Moran, a private practice attorney and former Kitsap deputy prosecutor. Moran later went to work for Rob McKenna when he was attorney general. Moran is listed as the “pro” death penalty voice. You can read it here. Moran was also one of the prosecutors on the Jonathan Gentry case. 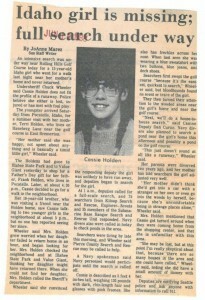 Gentry, you may remember, was sentenced to die for the 1988 murder of 12-year-old Cassie Holden. He is the longest serving inmate on the state’s death row. Filling in for Moran on Ross Reynolds’ radio show was Hauge, who has been defending the verdict in state and federal appellate courts since taking office in 1994. Although Hauge is being presented as “pro death penalty,” I think his position is more nuanced than that. Judge for yourself. Listen to the interview here.